When the seasons change we always suggest adding a few speciality drinks to your menu to spice things up a bit. 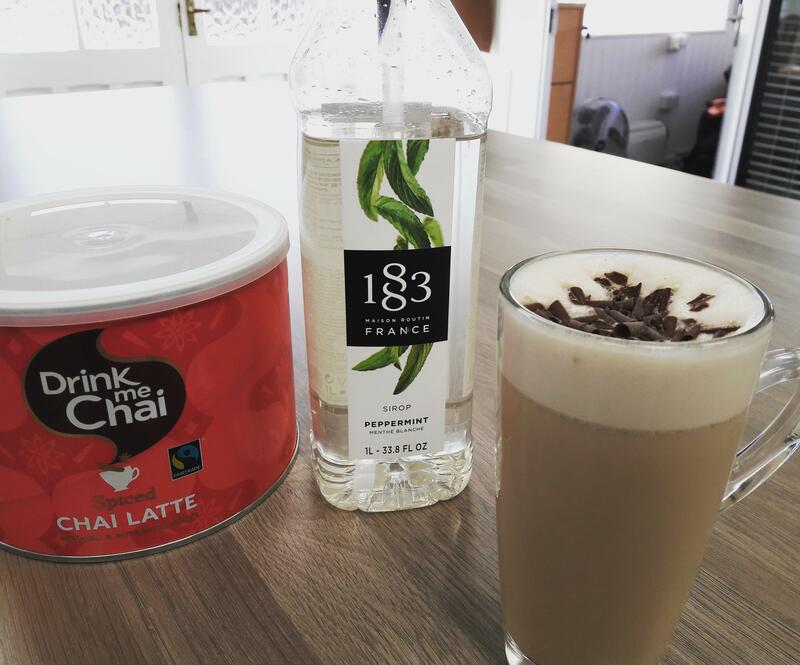 2 pumps of 1883 Peppermint syrup, steamed milk, a level scoop of Drink Me Spiced Chai, some chocolate curls. Put syrup in a 12oz cup. Steam milk with one level scoop of chai powder. Finish with a sprinkle of chocolate curls. 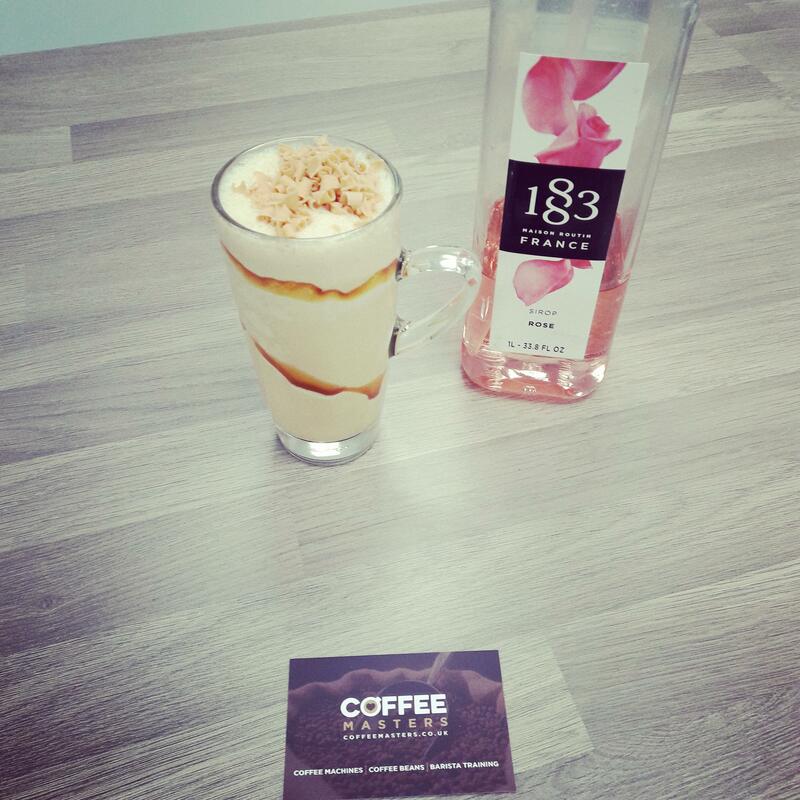 Milk, ice, 2 pumps of Rose syrup, one scoop of frappe powder, a double espresso, caramel sauce, caramel blossoms. Fill 12oz glass with ice and then fill to the top with milk. 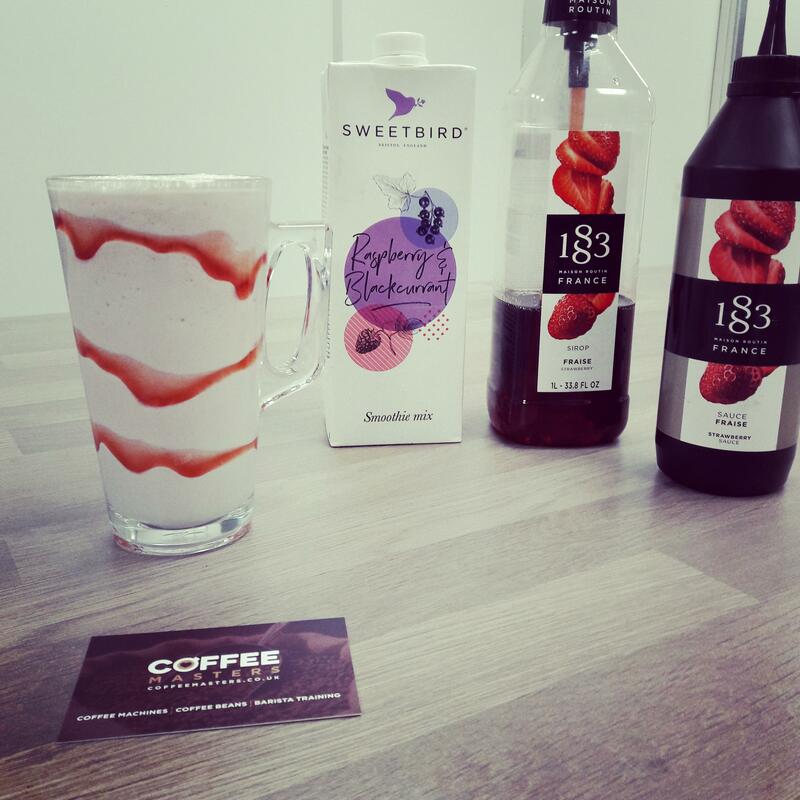 Add to blender with a double espresso, frappe powder and Rose syrup. Blend for 25 seconds. Line glass with caramel sauce and then add blended drink. Finish with caramel blossoms. Milk, ice, 2 pumps of strawberry syrup, one scoop of frappe powder, 40ml of raspberry and blackcurrant smoothie mix, strawberry sauce. Fill 12oz glass with ice and then fill to the top with milk. Add to blender with smoothie mix and strawberry syrup. Blend for 25 seconds. Line glass with strawberry sauce and then fill with blended drink. 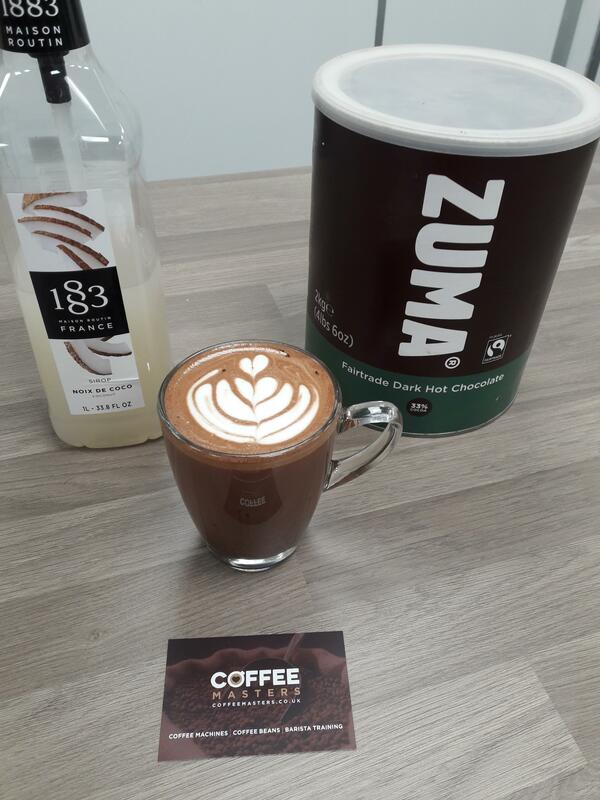 2 pumps of 1883 coconut syrup, 1 level scoop of Zuma dark hot chocolate powder, steamed milk, espresso. Mix chocolate powder, espresso and syrup in a 12oz cup. Whisk to make a paste. Pour steamed latte milk on top. 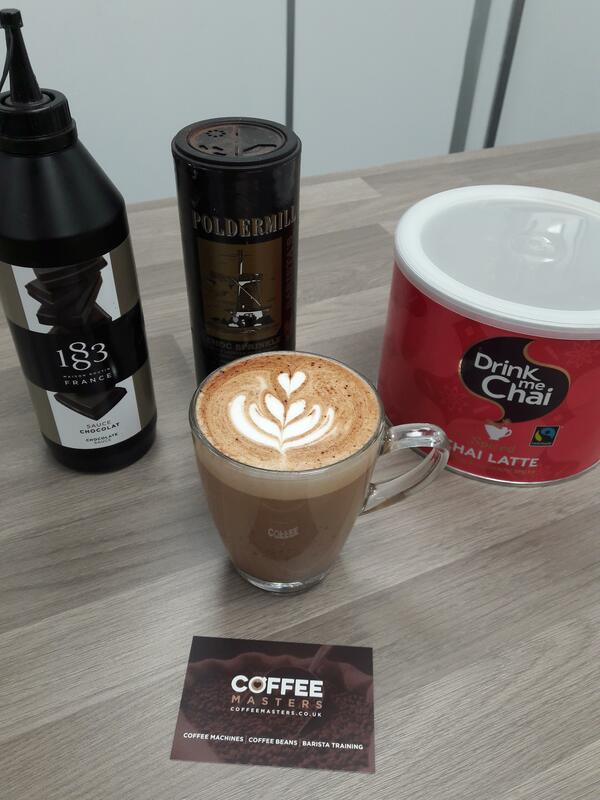 One level scoop of Drink Me Chai powder, espresso, 1 teaspoon of 1883 chocolate sauce, steamed milk. Mix chai powder with some hot water in a 12oz cup. Add chocolate sauce and espresso. Whisk to make a paste. Pour steamed latte milk on top. Mix dark chocolate powder with a dash of hot water and whisk well. 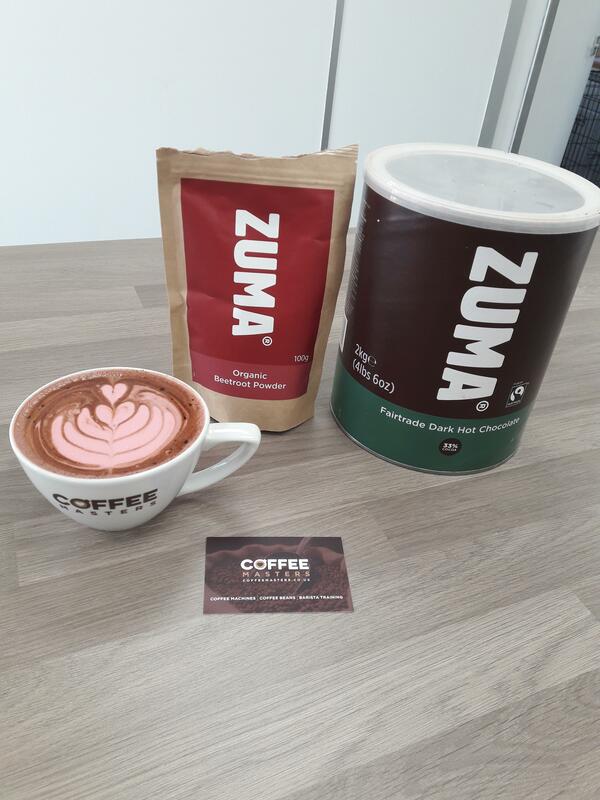 Steam milk with beetroot powder and then pour on top of chocolate base.